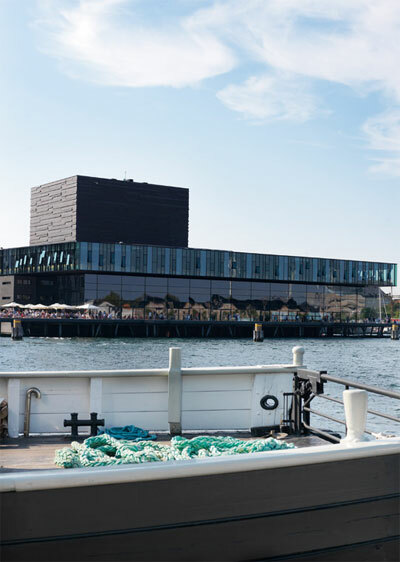 The ferry that once sailed between Fyn and Jutland in Denmark is now a house with a unique atmosphere, as well as spectacular views of Copenhagen’s waterfront and the Royal Danish Playhouse at Kvæsthusbroen. 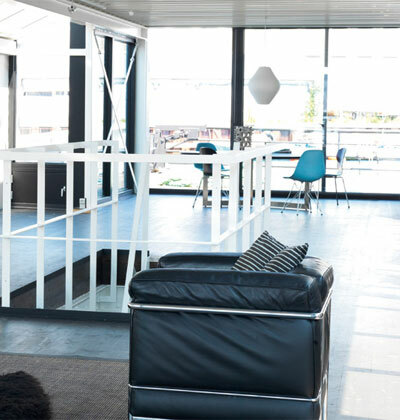 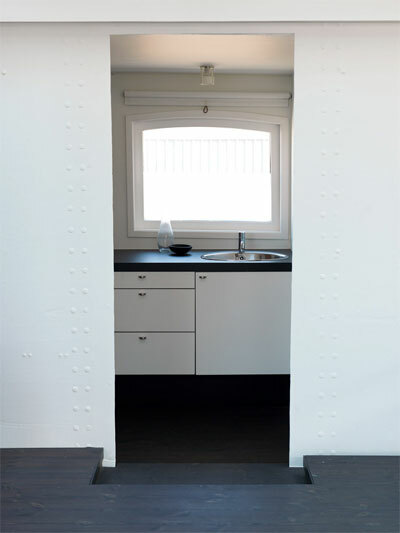 Architect Nils Jeppe Hansen carefully kept the ferry’s original expression. 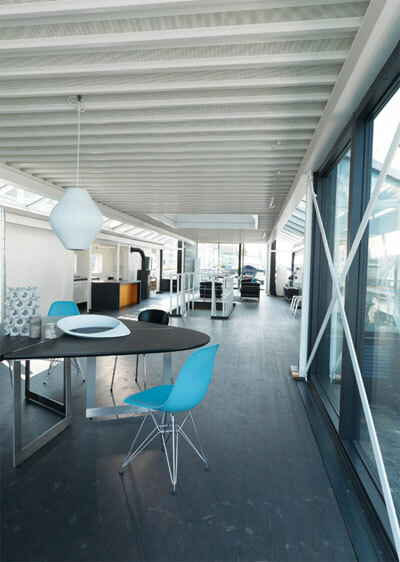 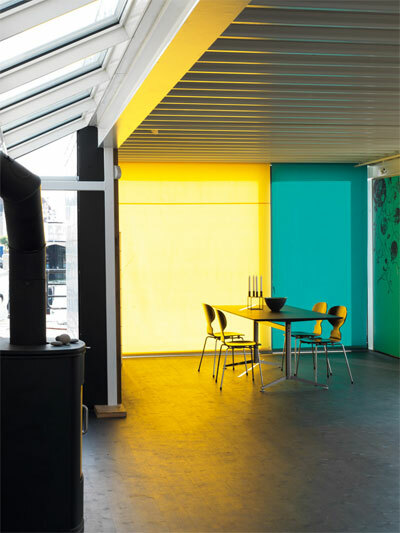 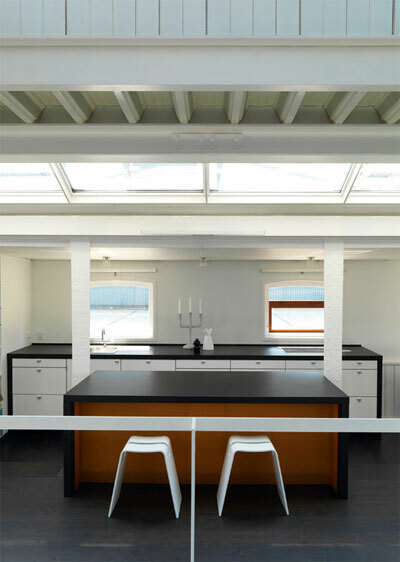 The raw, riveted steel walls contrast beautifully with the skylights, colored glass panels, and furniture from Arne Jacobsen, Eames and the like.